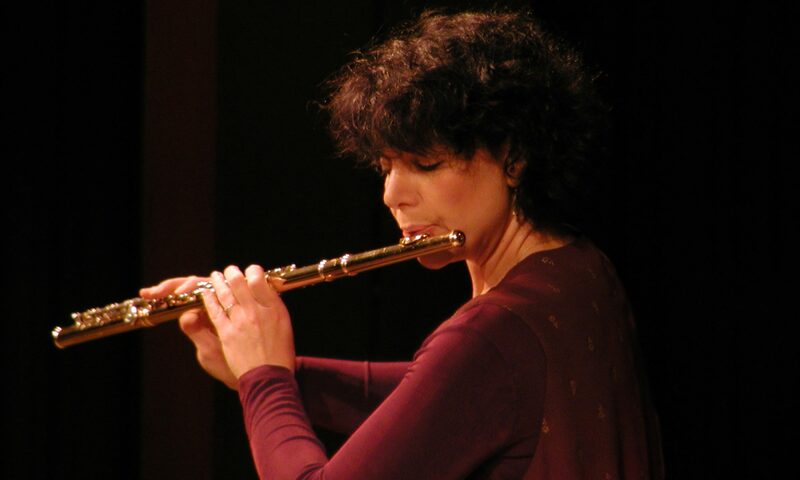 The American Flutist Carin Levine is one of the most renowned flautists of her generation. She studied at the Cincinnati Conservatory of Music, University of Cincinnati with Jack Wellbaum (Flute) and Peter Kamnitzer (Chamber Music). She continued her studies with Aurèle Nicolet at the Hochschule für Musik in Freiburg/Breisgau Germany. As a solist as well as chamber musician she performs in major international music festivals throughout Europe, Asia, North and South America. Carin Levine has won numerous awards and prizes including the prestigious Kranichstein Musikpreis for the Interpretation of Contemporary Music and the 2010 Cultural Award (Kulturpreis) Diepholz in Lower Saxony. She is most recently the Ambassador for the Youth Hospice Lionsheart in Syke, Lowersaxony. Her interest in new developments in the field of modern music has evolved into extensive and continuous collaboration with composers such as Brian Ferneyhough, Toshio Hosokawa, Mauricio Kagel, Liza Lim, Alvin Lucier, Claus-Steffen Mahnkopf, Younghi Pagh-Paan, Giacinto Scelsi, and Dieter Schnebel, all who have dedicated many works to her. Of upmost importance is her close association with young composers. Here too, many new works for flute have been written for her by Trevor Baca, Eduardo Moguillansky, Alwynne Pritchard, Eva Reiter, and Miroslav Srnka. to name a few. Her extensive repertoire includes more than 900 premier performances. Carin Levines teaching activities include international masterclasses as well as yearly masterclasses at the Rheinsberg Musikakademie in Germany. She has taught regularly at the Darmstadt Summer Courses for Contemporary Music. Carin Levine has taught at the Musikhochschulen in Bremen, Detmold, Frankfurt, Hamburg and Lübeck and continues her teaching activities through masterclasses at further Music Colleges in Germany. 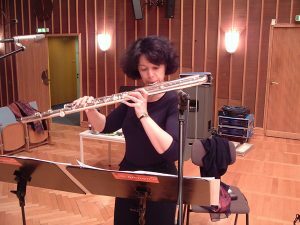 2013/14 , she directed the program “Contemporary Music Studies for Flute” at the Hochschule for Music and Theater Munich. 2015/16 , Carin Levine taught a seminar for Contemporary Music Interpretation at the Hochschule für Musik in Weimar. Carin Levine is editor of the series „Contemporary Music for the Flute“ published by Bärenreiter, Kassel. Her books on the subject of contemporary flute techniques “The Techniques of Flute Playing “ focusing on the normal flute and “The Techniques of Flute Playing Vol. 2 “, which focuses on the piccolo, alto and bass flutes are also published by Bärenreiter. Kassel. Carin Levine has performed under many conductors including Ernest Bour, Peter Eötvös, Johannes Kalitzke, Christoph Poppen, and Lothar Zagrosek. Numerous radio recordings, films and CD´s document her extensive musical activities. Highlights of Carin Levines concert seasons include appearances at the Ansbach Bach Festival, Archipel Festival (Geneva), Warsaw Autumn, Musica Viva (Munich), Venice Biennale, Wien Modern, Phnom-Penh Festival and many others. Carin Levine is the Artistic director of the Youth Contemporary Music Ensemble for Lower Saxony, Germany.